The pillar hydrant, also sometimes referred to as the dry barrel hydrant, is one of the most visible signs of fire protection measures that can be employed by firefighters. They are placed in the streets for emergency purposes, and are utilized mostly if there is a fire in the immediate vicinity. The pillar hydrant is connected to the area’s water supply, which means that at any given time, the water supply can be utilized through the dry barrel hydrant. If a fire occurs in a place with a hydrant close by, firefighters can easily connect their hose lines to the dry barrel hydrant and use the water in the extinguishing process. The pillar hydrant began when firefighters used to dig holes for water in trying to extinguish fires. They would try to look for an underground source of water, and then they would have to quickly try to reach that source and then bring buckets of the water to the fire. In time, of course, technology helped the firefighters in obtaining more water, so that the extinguishing process became faster and more efficient through the years. Now, the dry barrel hydrant is placed in strategic locations, and they are already connected to the main water line for emergencies. The dry barrel hydrant comes with different types, and can be chosen through a case to case basis. One type of the hydrant is the toggle type, where in the main valve is moved by a stem. Rotating the stem moves the main valve, to either open or close the vertical seat found at the hydrant base. 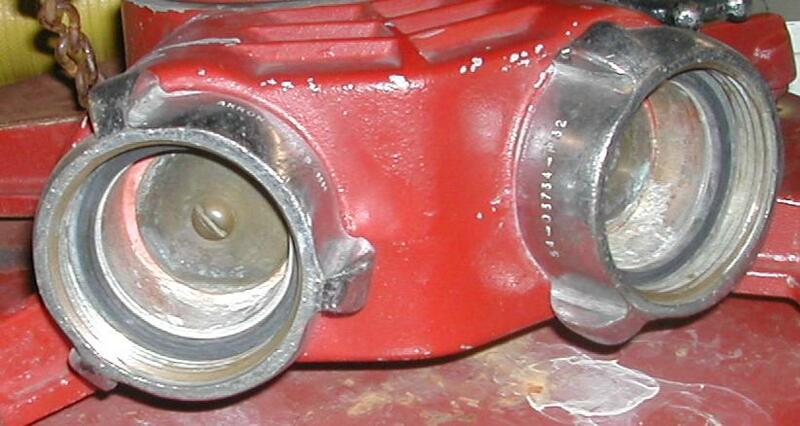 Another type is the compression type, where the valve moves against the seat to close it. The seat can be found in different positions. The slide gate type is different because the gate in the hydrant can move up and down, as opposed to the reciprocal movement of the previous two. The gate can be moved to the seat through a certain mechanism, which can be found at the bottom of the hydrant. Some other types of hydrant exist but are a little less common. 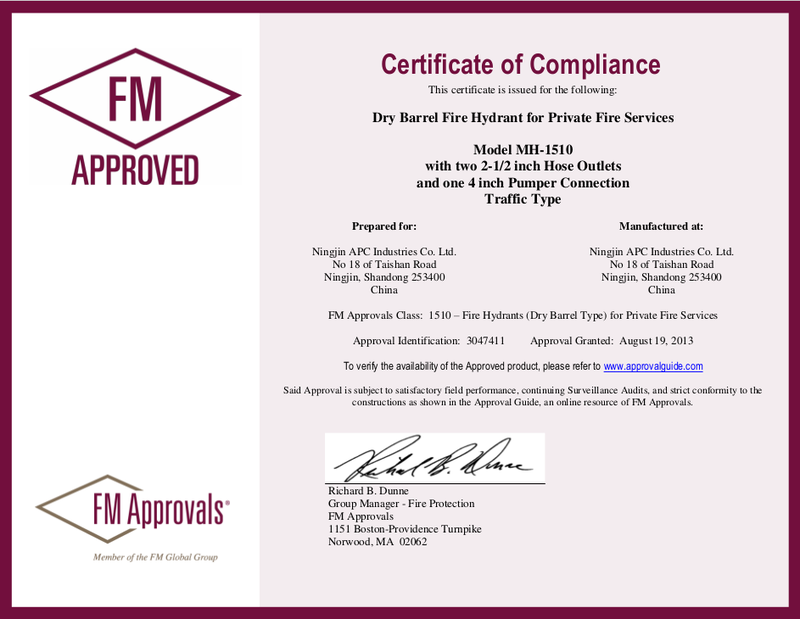 The UL FM approved dry barrel hydrant has a 250 PSI pressure. It follows a design standard of AWWA C502 and has a mechanical connector with the specifications of AWWA/ANSI C153/A21.53 6”. The hydrant can be connected in different manners through different threads, but it typically has one pumper nozzle with 4.5-4 NH thread, and two other nozzles with 2.5-7.5 NH threads. The dry barrel hydrant is used in case of emergency, so it must always be ready for use. This means that the hydrants should not easily be worn out, and that it should be able to withstand rough usage. The pillar hydrant should always be made of the best quality materials to ensure both safety and reliability. The UL FM approved dry barrel hydrants all follow this standard, so they are all sure to work flawlessly at all times.